Shhhh! Results of a quieter, more observant human – and dog. I think we all agree, the basic idea is to shoot birds over your dog’s point. But if you sound like the circus coming to town, you’ll scare away every bird in the county. Game birds may not be as spooky as whitetails (sharptailed grouse might get close), but they are still very cognizant of predators and the sounds they make. So stuff a sock in it. I’ve snuck within inches of birds by treading more carefully and taking the jingle-jangles off the dog’s collar. Even though I own a dozen e-collars most times I’ll go unplugged. I try to ghost my way through brush, not bulldoze it down. Commands are by hand, not voice or whistle. My footfalls are those of an elk hunter, not a linebacker. Sure, I like Monday-morning quarterbacking yesterday’s game as much as the next guy, but when my mouth is shut, my eyes seem to open wider. 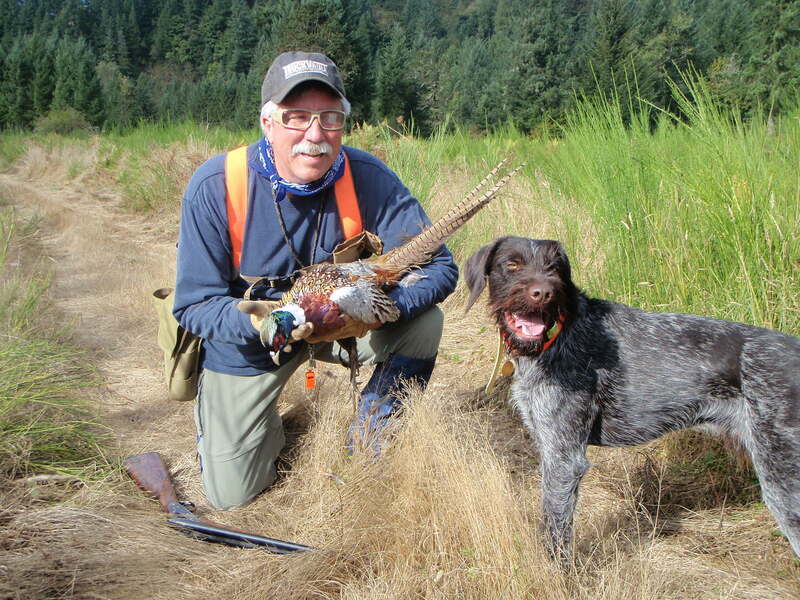 I enjoy more of the dog work, catch on quicker to his birdiness, savor the scenery and shoot more birds. In SD a few years ago, my buddy walked up on a sleeping hen in a dried bog. She was settled ina big cow footprint. We stayed quiet and he was bending down to capture it when it woke up and busted out. Smacked him in the face wiht her wings we laughed for the rst of the week about that. Unfortunately no camera handy. An unintended consequence of sneakiness! I always seem to see more birds per hour hunting alone with my Labrador than with even a single guest. This is mostly phez’ hunting. I think the quiet has a lot to do with that. But I still use a small bell which is very helpful when working dense cover. The little jingle doesn’t seem to worry the birds as much as a large bell. Maybe you should pick quieter guests!